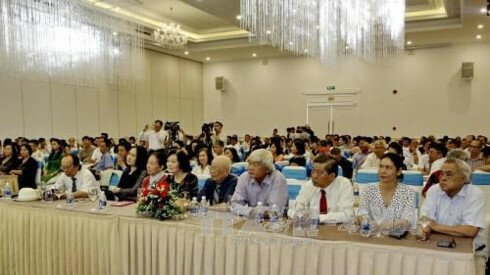 NDO/VNA – The Ho Chi Minh City Union of Friendship Organisations and the Vietnam-Slovakia Friendship Association’s municipal chapter on May 10 kicked off construction of the Vietnam-Slovakia friendship building in District 1. 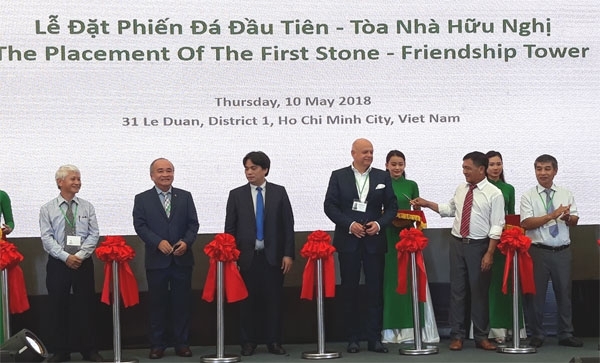 Speaking at the groundbreaking ceremony, President of the union Huynh Minh Thien affirmed that the project is a manifestation of the fine sentiments shared between the two countries and their peoples. Licensed by the municipal People’s Committee in 2010, the building will rise to 21 storeys, with around 13,700 sq.m of floor area. Its construction is expected to be completed in two years. Once put into use, the building will also serve as the headquarters of the Ho Chi Minh City Union of Friendship Organisations. Vietnam and Slovakia established diplomatic relations in 1950. Since then, bilateral ties have developed continuously, especially in trade and investment. Trade turnover between Vietnam and Slovakia has grown 40-fold compared to 2004. In the first 10 months of 2017, two-way trade reached about US$630 million, up 80% against the same period last year, making Slovakia one of Vietnam’s most important trading partners in Central and Eastern Europe. Slovakia invested in nine projects in Vietnam with a total capital of US$247 million, making it 36th among 128 countries investing directly in Vietnam. Savills Vietnam appointed exclusive leasing agent of Grade A office and retail building owned by CZ Slovakia. 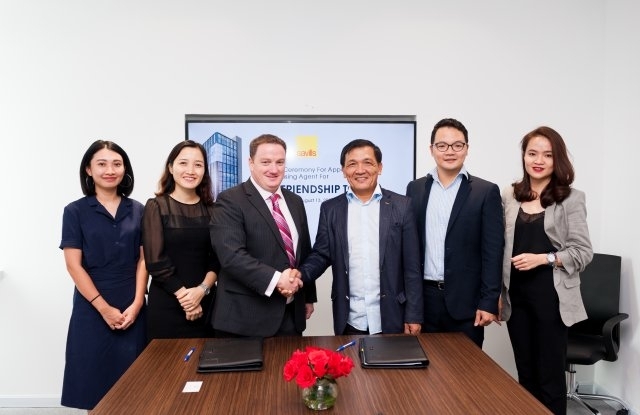 Savills announced on August 21 its appointment as the sole leasing agent for Friendship Tower, a new Grade A project developed by CZ Slovakia in Ho Chi Minh City. The prime office and retail building will be Leadership in Energy and Environmental Design (LEED)-certified and located on the broad avenue of Le Duan in District 1, with investment of around $50 million. Ground was broken in May this year and the building is scheduled to be open to tenants in early 2020. The 21-story building has a gross floor area of 19,000 sq m and overlooks the US and French Consulates. Friendship Tower is also a symbol of the close connection between Vietnam and Slovakia, with diplomatic ties established in 1950. According to CZ Slovakia, a location surrounded by well-known and iconic buildings in Ho Chi Minh City is a unique advantage for its new development. The project represents a symbol of friendship between the two countries, hence the tower’s name. The basic and long-lasting architectural design is a combination of Western and Eastern culture, creating perfect harmony. Friendship Tower is a boutique professional office building, with a conference center and café with F&B services. The building is designed under LEED Silver Certification standards and is set to be a location of choice for discerning tenants seeking high quality office space in a prime location. Savills also signed a strategic partnership agreement on August 13 with Alpha King Real Estate Development to become the exclusive leasing agent for Alpha Town and Alpha Mall in Ho Chi Minh City. The project of a friendly building is invested by CZ Slovakia Limited Company with a total area of ​​about 13,700 sqm, including a large international convention center, offices for lease and offices of the Union. Ho Chi Minh City Friendship Organizations (HUFO). The building is designed to meet international standards for green architecture and energy efficiency with a total investment of about $ 50 million and is expected to be completed by 2020. The Caterers are pleased to offer food to over 120 guests with a rich buffet lunch menu including 05 appetizers, 07 main dishes and 03 desserts. All the tables are covered with white towels, blue ribbons in the main color tone. Especially the Caterers use some equipment from the latest decorations in 2018 “BACK TO NATURE – WOODEN PARTY” such as wood leg food plate, pots ornamental plants … to match the style of Asia- Europe of the event.